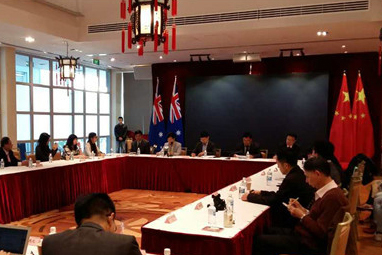 China will export more publications to other countries, both in print and digital formats, to further expand its visibility, officials said on Wednesday. As the 45th anniversary of the normalization of ties between Beijing and Tokyo arrives amid a relationship that remains strained, media from the two neighbors discussed ways to break the impasse. 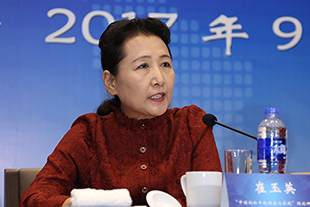 Cui Yuying addressed a seminar on the ideas and practices of China's right to peace in Nanjing on Sept. 11. 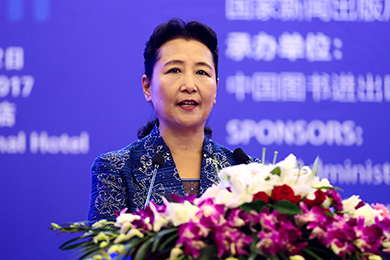 A senior Chinese official on Monday said in Geneva that China has blazed a trail for human rights development that has distinct Chinese features and made outstanding achievements in this field. 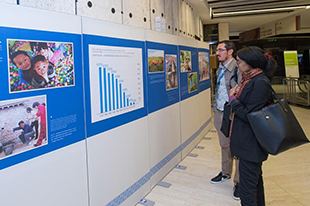 A photo exhibition titled "For a Better Life of the People" showcasing China's progress and achievements in the human rights promotions in the recent years opened on Monday in Geneva. 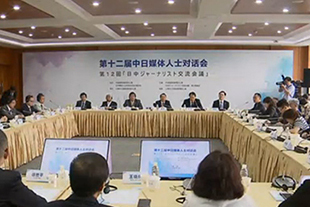 Leaders of almost 30 major media organizations from China and the Republic of Korea (ROK) gathered in Beijing Thursday to discuss the media's role in boosting bilateral ties. 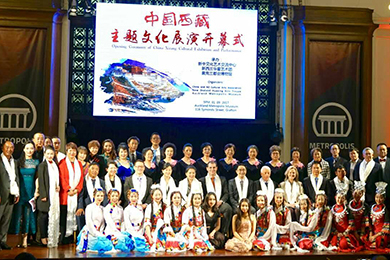 A Tibet-themed photo exhibition was held in Auckland, the largest city of New Zealand, on Sept. 1. 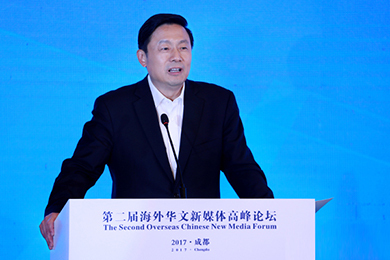 Guo Weimin, vice minister of the State Council Information Office, spoke Tuesday at the Second Overseas Chinese New Media Forum in Chengdu, calling on overseas Chinese new media to better present China to the world under the B&R Initiative. 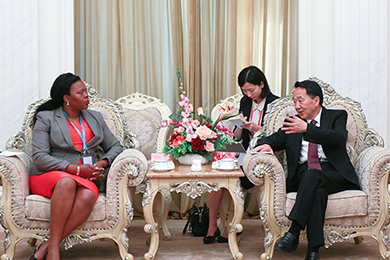 A group of Mozambican media officials and leaders of top media outlets, led by Emília Jubileu Moiane, director of the Information Office of Mozambique, are visiting China from Sep. 3 to 9. 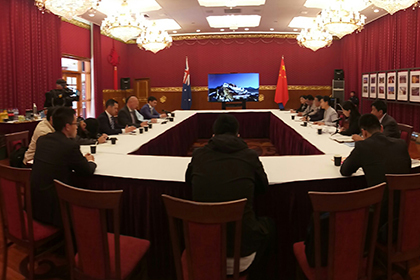 A Chinese Tibetan cultural exchange delegation has visited Canberra and briefed government officials, think-tanks and the Australian press about the latest development of China's Tibet Autonomous Region. 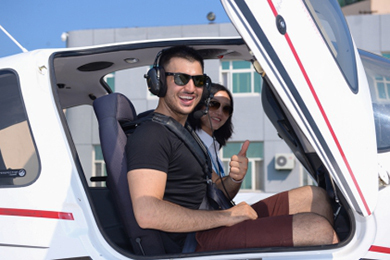 A new season of the "I'm In China" project will start at the end of October. 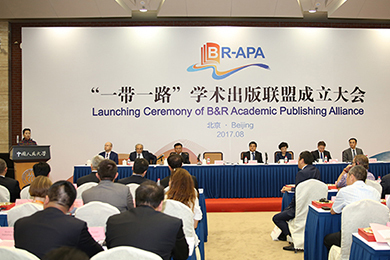 The launch ceremony of the Belt and Road (B&R) Academic Publishing Alliance was held at Renmin University of China on Aug. 24. 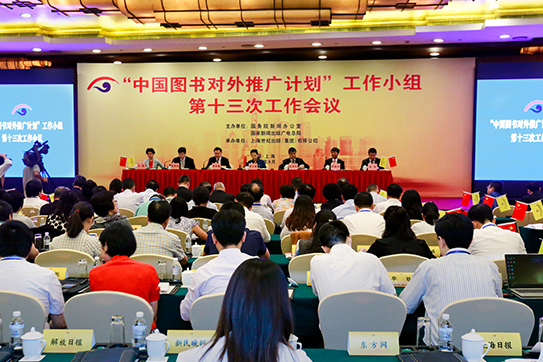 Cui Yuying attended China Book Foreign Consultants Seminar held in Beijing on August 21. 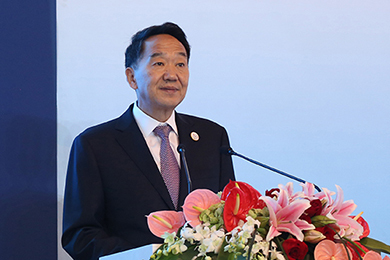 Jiang Jianguo, deputy head of the Publicity Department of the Communist Party of China (CPC) Central Committee and minister of the State Council Information Office, hosted the opening ceremony of the BRICS Seminar on Governance in Quanzhou, Fujian Province, on Aug. 17. 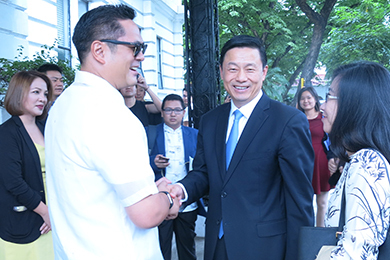 China hopes to enhance media exchanges and build pragmatic cooperation with the Philippines to help create a bridge between the two countries and peoples, said Guo Weimin, vice minister of the SCIO. 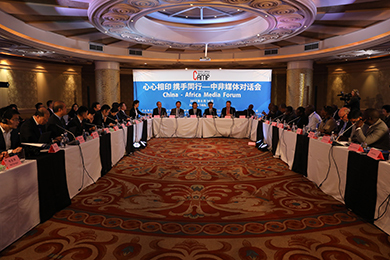 Media delegates from China and African countries are calling for cooperation in bringing a fresh perspective to news reporting on the developing countries. Hulumi, an undeveloped rustic community in the Nigerian capital of Abuja with limited infrastructure, came alive on Aug. 10. 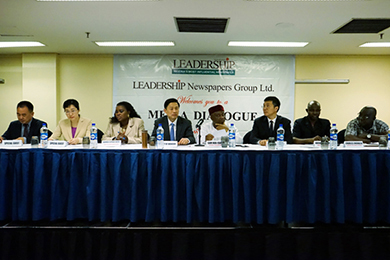 Guo Weimin, vice minister of the State Council Information Office of China, has encouraged Chinese and Nigerian media to contribute to the traditional friendly relations between the two countries. 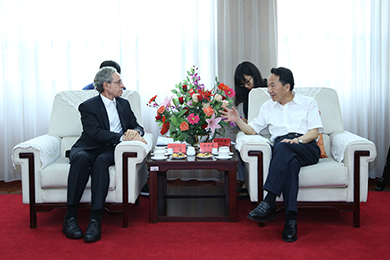 Guo Weimin, vice minister of the State Council Information Office, talked about telling China's stories on the sidelines of a seminar on international communication. 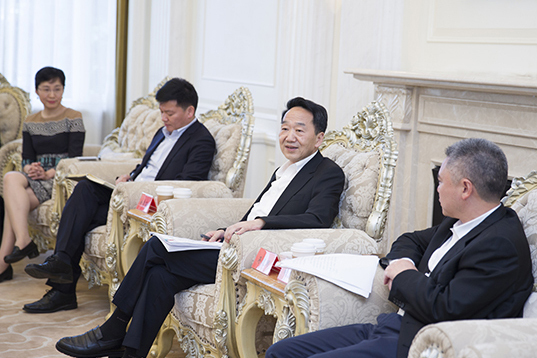 Jiang Jianguo, minister of the State Council Information Office, has invited overseas media to cover the upcoming 19th Communist Party of China (CPC) National Congress. 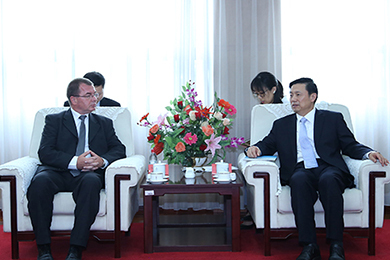 Guo Weimin, vice minister of the State Council Information Office, met with a delegation headed by Mariusz Staniszewski, vice president of Polish Radio, in Beijing on August 1. 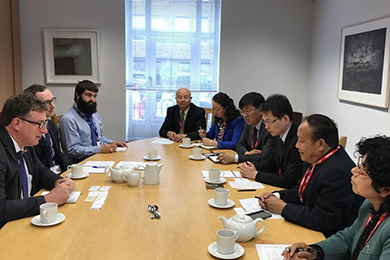 A Chinese Tibetan delegation on July 25 wrapped up its two-day trip to Ireland, where they visited a government department, a university and a think tank. 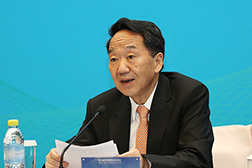 Jiang Jianguo attends and addresses a seminar on a hit program of China.org.cn. 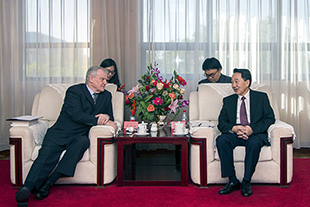 Jiang Jianguo, minister of the State Council Information Office, met with a delegation headed by Robert Lawrence Kuhn, chairman of the Kuhn foundation in Beijing on June 14.